This type of surveys are used to detect existing buildings. 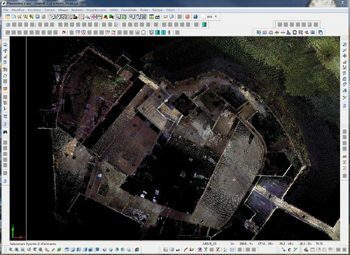 In this case you can work directly on the point cloud detected, without modeling, for the direct extraction of sections and plans, with immediate display. A specific module allows you to transform very quickly, in semi-automatic or guided form, sections or plants extracted in vector polylines. Vectoring sections by laser scanner.